Weddings are evolving all the time, this is very evident in the dining preferences that couples are selecting. In the past, the majority of couples getting married would have opted for a traditional sit down dinner, however things have changed and that is now no longer the case. Buﬀet style wedding receptions and stationed service are growing in popularity and it is easy to see why. If you are a couple who are looking to have a contemporary themed wedding, then buﬀet style line service or stationed themes from Mind Full Of Food Catering and Culinary Services could be the perfect option for you. With a wealth of culinary experience, we can work with you to set up your reception foodservice so there's ease of ﬂow for your guests, and a variety that is balanced. Buﬀet style dinners sometimes receive a bad reputation for being overly casual and not suited to an event as important as a wedding reception. However, the reality is that Mind Full Of Food Catering and Culinary Services’s buﬀet is anything but casual. The elegant and reﬁned nature of our award-winning buﬀet service is a perfect alternative to the more traditional sit-down meal. What makes a buﬀet from us special is that guarantees the same high quality meals you would receive in a sitdown meal but with the added beneﬁt of providing more choice and being more relaxed. What’s the more, the wide range of serving stations that we can provide means that your guests will be more likely to ﬁnd the ﬁnd that they love. On top of being a more social and interactive dining choice, the truth is that buﬀet style catering also aﬀords the married couple a cheaper alternative to a sit down dining option. 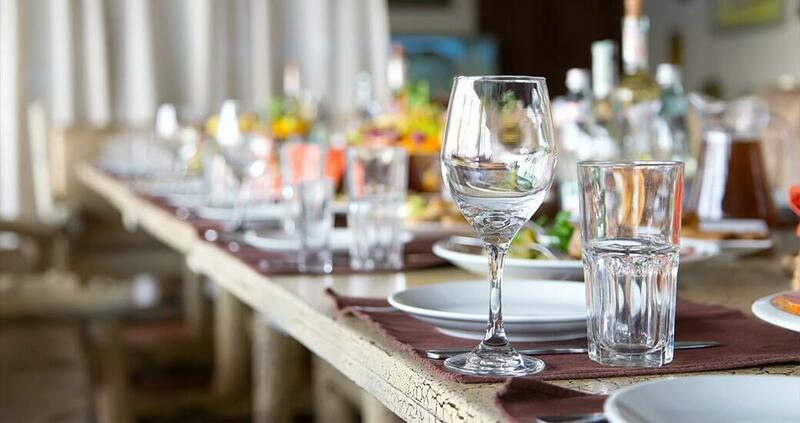 That, allied to the ﬂexibility of this service means that guests with dietary requirements as well as plain old picky eaters can be accommodated seamlessly. Whether big or small, indoors or out, our catering team possesses the skill and expertise to get the job done. Our professional service will ﬁt seamlessly into your plans for the perfect dining experience. Your wedding day should be one of the most special days of your life, with so much at stake you want to choose a catering company that can deliver. Call us today and you won’t be disappointed.